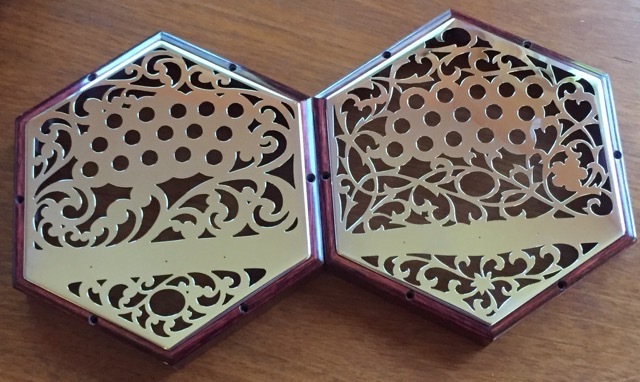 Kensington Concertinas now are available in two different end designs. The original “Rose in the Garden” pattern,(right ) is an asymmetric vine style. The "The Tempest”, (left) is based on the movement and shapes of wind, water and cloud.